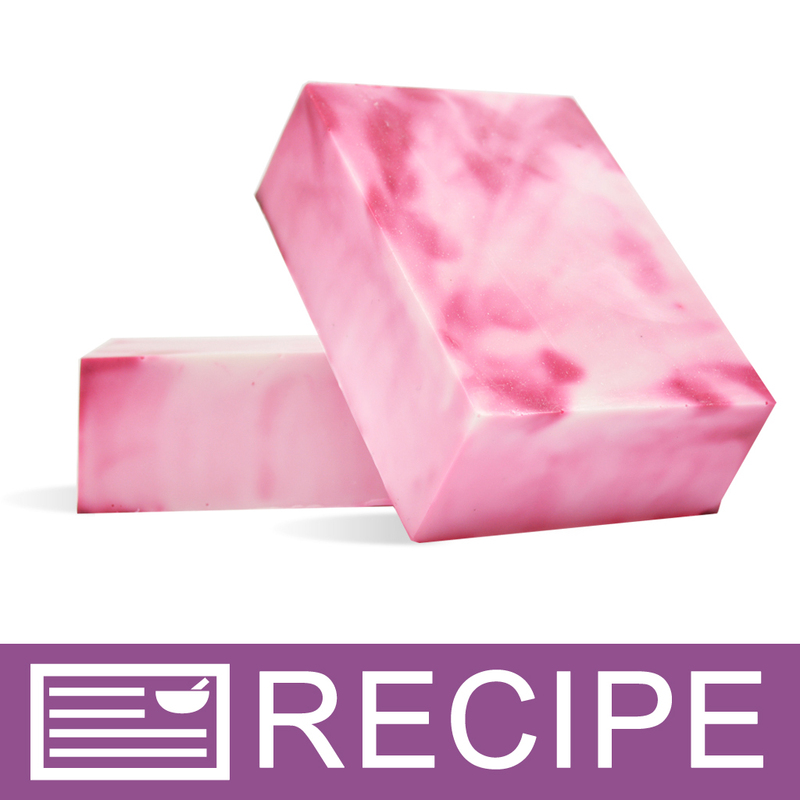 The pink and white soap bars made from this melt and pour soap making project are simple to make. Merely drop some red liquid color into each mold cavity, and fill each with scented melt and pour soap. When the soap has hardened, it can be wrapped, and packaged in pretty white soap boxes. The pastel color and cherry blossom scent makes this a springtime favorite. You Save $12.74 by purchasing this kit rather than buying the items separately. "Pretty and nice clean smell"
COMMENTS: Very easy to make, basic MP soap bar. The smell is a very clean smell with a slight floral scent to it.